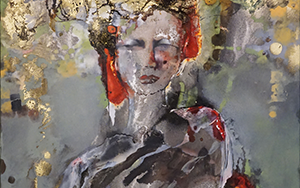 Join Nancy Stage Robinson at Cottonwood Center for the Arts for an exclusive special showing of her exciting new mixed media series "Hidden Faces" to launch her new book. Known for her creativity, composition and her use and understanding of color, Nancy Stage Robinson has established herself as a renowned and internationally acclaimed contemporary artist. She specializes in site specific installations and in commissions for private collectors and businesses of all kinds including the hospitality industry, banks and offices. Her work is owned and exhibited by private collectors, businesses and corporations throughout the world.